Special shout out to my man JT. - Stands second in the NSIC with 101.4 receiving yards per game. 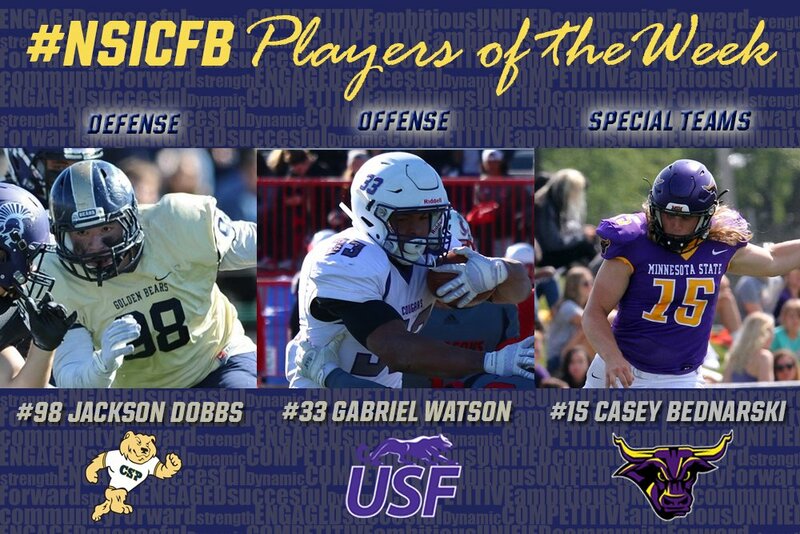 Offensive player of the week could of also gone to Augie's Qb Saddler. Saddler threw for 460 yards and 5 tds. I would have been more surprised if Watson didn't get offensive POW after this week's performance. Nice to see Mr. B get recognition; he's an outstanding place kicker for the Mavs. Watson is good at football.